The Football Championship Subdivision stole the spotlight of coaching carousel season Tuesday with a pair of huge moves: former Nebraska head coach Bo Pelini to Youngstown State, and offensive guru Bob Stitt to Montana. Each hire is noteworthy, albeit for very different reasons. Youngstown State seeks to rekindle its past glory of the 1990s, when the defensive-minded Jim Tressel led the Penguins to four national championships. A former national championship-winning defensive coordinator, Pelini brings that same mentality, as well as a keen familiarity with the area. He’s a Youngstown native. Pelini should excel in his new home, particularly in a Missouri Valley Football Conference where defense-first is a proven successful formula. The MVFC is home to North Dakota State, the embodiment of old-school philosophy in Div. I. Longtime FCS powerhouse Montana’s hire of Bob Stitt follows a much different blueprint, though one that has helped improve the coaching ranks throughout college football. Stitt is more the stuff of social media legend — and no, not because there’s a Bob Stitt parody account akin to Faux Pelini. Stitt is something of a hero to College Football Twitter for his quirkiness and #StittHappens dispatches. More importantly though, Stitt is a hero to coaches who oversee uptempo, air-raid offenses. From his remote outpost, Stitt has imparted knowledge on such notable students as Mike Leach, Kevin Sumlin and Dana Holgorsen. Just call Bob Stitt, Pai Mei. Stitt’s constantly evolving take on the spread offense put Colorado School of Mines, a university famous for its engineering program and little else, on the football map. On the surface, Bo Pelini and Bob Stitt don’t have much in common. However, both joining the FCS ranks on the same day is a testament to just how rich college football is with great coaching in this era. At the FBS level, the Pac-12 is the ideal starting point for this conversation. Oregon State’s hire of Gary Andersen last week gave the conference its ninth different coach to have won 10-plus games in one of the last three seasons. Juxtapose the Pac-12’s current collection of head coaches with the mid-2000s, when the names around the former Pac-10 included Mike Stoops, Walt Harris, Dirk Koetter and Karl Dorrell, and the difference is night and day. The SEC has similarly upgraded, while various Group of Five and FCS programs are fostering the next generation of household coaching names (keep Willie Fritz and Pete Lembo in your back pocket). Athletic departments are going beyond the status quo to find great football minds. Look at the current Top 25, which includes Baylor, Ole Miss, Arizona State and Auburn. The head coaches at each of these programs — Art Briles, Hugh Freeze, Todd Graham and Gus Malzhan — were all toiling in the high school ranks not long ago. The irony of college football expanding its horizons and collectively improving its coaching at all levels is that the NFL is seemingly turtling further into its shell of the same-old, same-old. This Sunday, just days before Stitt’s hire at Montana, I channel-surfed through games in which the best football players on the planet were made to look like they were running in quicksand. The pro game is bogged down with archaic concepts and stubborn playcalling — and the outlook for the immediate future isn’t good. Johnny Manziel’s less-than-stellar first start should embolden the old-heads who want only statues behind center. It’s certainly fodder for someone like Jay Gruden, whose criticisms of former Art Briles pupil Robert Griffin III border on absurdity. And then in Chicago, where Bears management took a chance on something different when it hired former CFL coach Marc Trestman, the experiment has gone bust. When one team dips its toe in the pool and fails, the copycat league is sure to rush to its security blanket. That’s fine; the NFL can keep Jay Gruden. 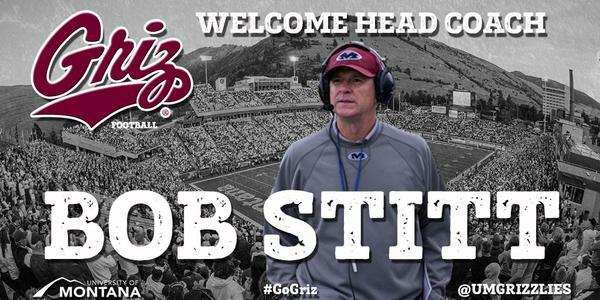 College football will continue to benefit from innovation it gets from coaches like Bob Stitt. Previous article College Basketball Super Sweet 16: Duke or Arizona, Who Is No. 2?